Join the Young Professionals of Palm Beach North for their quarterly Development Luncheon on Thursday, April 11 at Abacoa Golf Club. The topic of this luncheon is Development in the Palm Beaches. Guests will enjoy networking and a buffet lunch at Abacoa Golf Club. Additionally, guests will hear from Young Professionals Council Members and a representative from Abacoa Golf Club. George G. Gentile has practiced as a Landscape Architect and Planner in Palm Beach County for over 40 years. 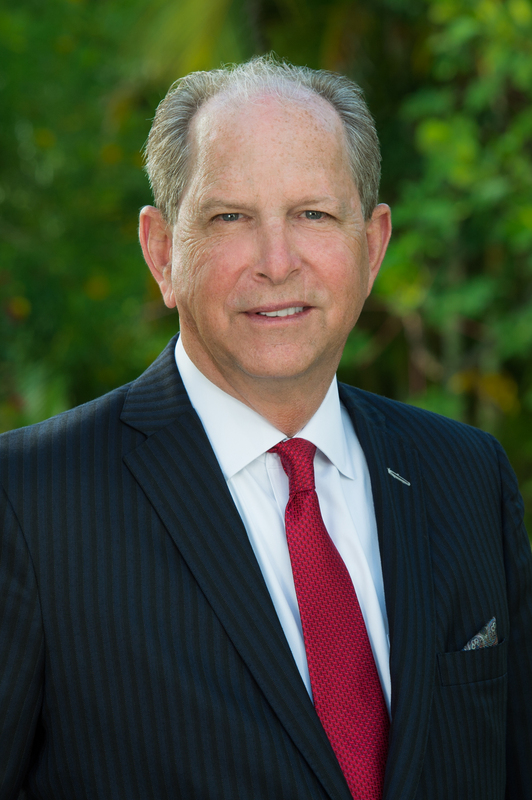 He has worked on numerous public and private projects that have contributed to the quality of life of all the residents of Palm Beach County and South Florida. His planning, site planning and Landscape Architectural Design work can be found thought the County and the State of Florida. His piers recognized him for his professional dedication and contributions to his profession by being made a Fellow of the American Society of Landscape Architects in 1996 and chosen as the Landscape Architect of the Year by the Palm Beach County, American Institute of Architects in 2007. During his extensive carrier, he has also contributed to the community by his participation in numerous organizations and charities including, currently Chairman of the Board of the Palm Beach North Chamber of Commerce, the Palm Beach County Planning Congress, the Marine Industries Association of Palm Beach County, The Economic Council of Palm Beach County, the Economic Forum of Palm Beach County and immediate Past Chairman of the Palm Beach State College Foundation Board. Mr. Gentile is President and Founder of Gentile Glas Holloway O'Mahoney & Associates, Inc. a full-service Landscape Architecture, Planning and Environmental Consulting firm, which was established in 1988 in Jupiter Florida and is dedicated to sustainable and environmentally sensitive planning and design. He holds registration to practice his profession in Florida, Ohio, Mississippi, and North Carolina. He is currently a Commissioner and Chairman of the Jupiter Inlet District, southeast Florida's oldest special district established in 1921. George graduated from Palm Beach Community College now Palm Beach State College in 1973 and the University of Florida with a Bachelor of Landscape Architecture degree in 1977. He has been happily married to his wife Jeanette for over 45 years and has 3 sons and 4 grandchildren, all who reside in Palm Beach County. Don Hearing is owner and Vice President of Cotleur & Hearing Landscape Architecture with over thirty years of experience in this discipline. He has been practicing in south Florida since 1982. Mr. Hearing also serves as managing partner of Cotleur & Hearing Investments, a real estate development and acquisition company. 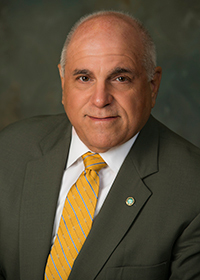 He serves on the Board of Directors and Executive Committee for the Northern Palm Beach County Chamber of Commerce and the Economic Development Council of Palm Beach County. Additionally, Mr. Hearing is a Director for the PGA Corridor Association and the Lighthouse Center for the Arts as well as a Board member for MyClinic of Jupiter. In conjunction with his business interests, Mr. Hearing is actively involved in numerous charitable organizations which include Christ Fellowship Church, Palm Beach Community Church, Jupiter Christian School, The Place of Hope and the West Jupiter Tutorial Center to name a few. Mr. Hearing was raised in south Florida. He is a state of Florida registered landscape architect and honor graduate from the University of Florida with a Bachelor of Landscape Architecture degree and is a Certified LEED Accredited Professional. In 2011, the American Institute of Architects recognized Mr. Hearing as Landscape Architect of the Year for Palm Beach County. In 2012, he was the recipient of the Community Leader of the Year Award presented by the Northern Palm Beach County Chamber of Commerce. Mr. Hearing and his wife, Suzanne, reside in Jupiter, and have been married for twenty-five years. They have three daughters: Ariel graduated from Palm Beach Atlantic University in April of 2015 with her Doctorate degree in Pharmacy; Kalee graduated from Jupiter Christian School in 2012 and is currently a senior at the University of Florida; and Alyssa graduated from Jupiter Christian School in 2013 and is currently a junior at Palm Beach Atlantic University. Nicole Plunkett received her Bachelor?s of Landscape Architecture and a Minor in Environmental Studies from the University of Florida in 2010 and has been a landscape architect and project manager with Cotleur & Hearing for the past five years. At Cotleur & Hearing, she works on a broad variety of projects including commercial, medical, and residential communities. Nicole is highly proficient in ArcGIS, Trimble Sketchup, and Podium SU and uses these programs to create 2d and 3d rendered maps and graphics. She also assists with the intern training program and helps to recruit new talent for the Cotleur & Hearing Team. 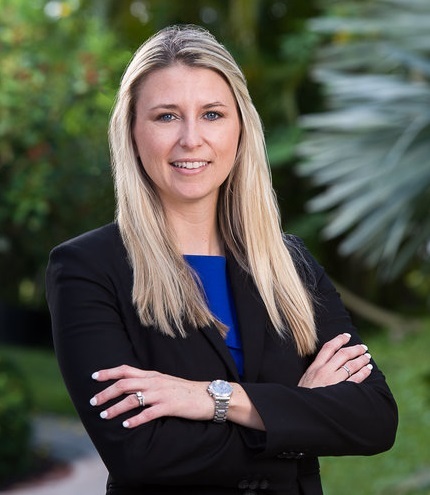 Nicole is an active member of the Northern Palm Beach Chamber of Commerce and is also currently serving as the Palm Beach / Treasure Coast Chair for the Florida Section of the American Society of Landscape Architects. In 2015, Nicole created Future Landscape Architects of America (FLAA), an educational community outreach program that focuses on educating K-12 students about the career field of landscape architecture. FLAA teams up with schools throughout South Florida to provide creative activities, educational tours, and exceptional insight into the types of projects landscape architects create and the impact a landscape architect has on their community. Pre-registration closes at Noon the day before the luncheon, if it is not sold out prior. Walk-ins are subject to availability.